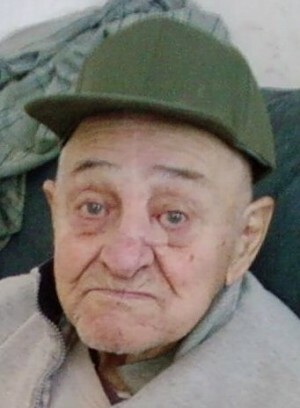 FULTON, NY – Nicola “Nick” Semeraro, 88, of Fulton, passed away Sunday April 12, 2015, at the Veterans’ Administration Medical Center, Syracuse, NY. Nick was born in Fulton to the late Leonard and Isabella (D’Amico) Semeraro. He remained a lifelong resident of Fulton. Nick was a United States veteran having served in the Navy during World War II. He began working as a huckster for many years and later obtained his real estate license from Purdue University. Nick was a communicant of Immaculate Conception Church, Fulton. He enjoyed spending time at the local library. Nick was truly a free spirit and lived life his own way. Nick was predeceased by his sibling, Quirico Semeraro; and nephew, Richard Semeraro. He is survived by his nephew, John (Brenda) Semeraro of Fulton; great-niece, Alexis Semeraro of Tacoma, Wash. and great-nephew, Anthony Semeraro of Fulton; and several cousins. Funeral services will be held Monday at 10 a.m. at Holy Trinity Church, Fulton, where a mass of Christian Burial will be celebrated by Rev. James Schultz. Military honors will be bestowed by the Fulton VFW Post #569. Calling hours will be conducted 4 to 6 p.m. Sunday at the Sugar Funeral Home, 224 W. Second St. S., Fulton. Contributions may be made to the Fulton Salvation Army, 62 S. First St., Fulton, NY 13069.